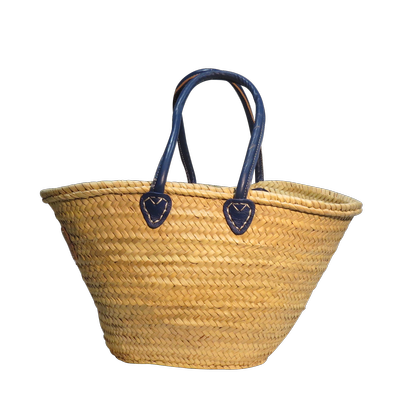 These delux handmade French market baskets have either long or short luxurious coloured leather handles or sometimes both. 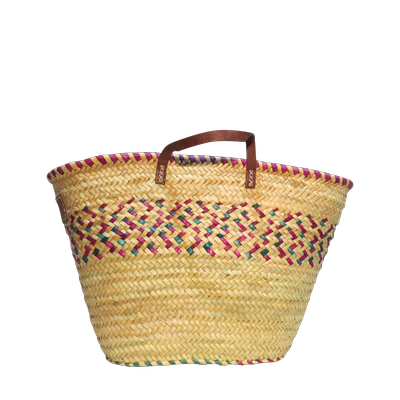 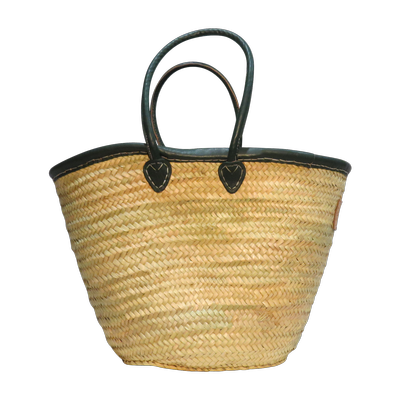 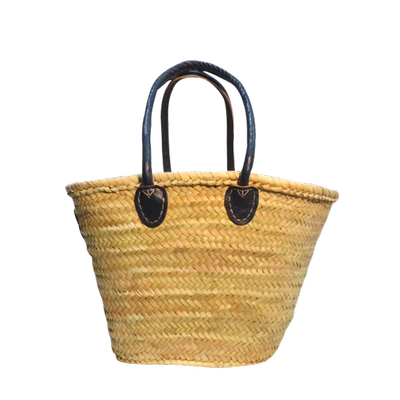 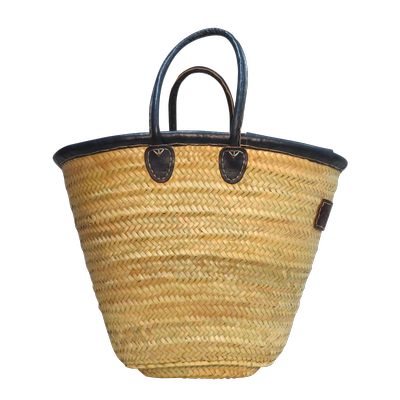 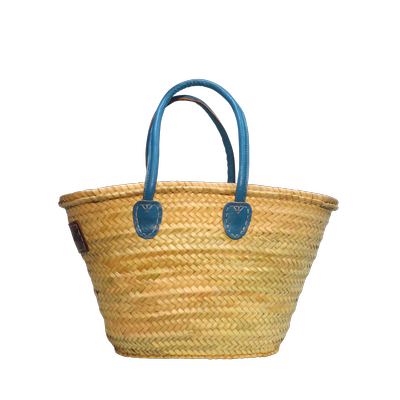 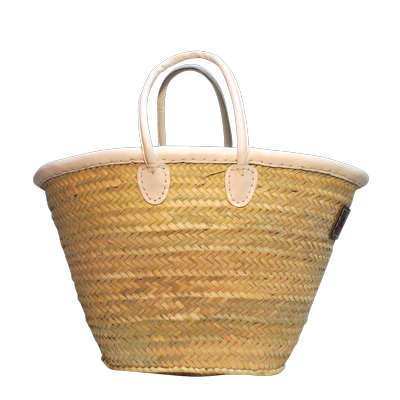 Many basket styles have a leather trim around the edge of the basket. 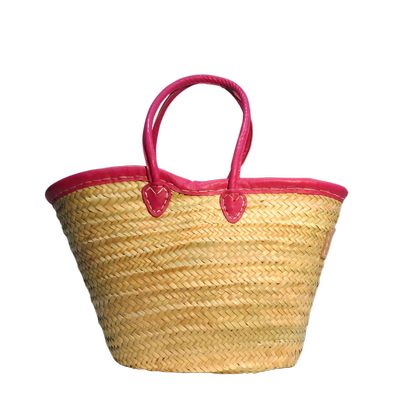 They are all ideal as a beach bag, shopping basket or picnic basket. 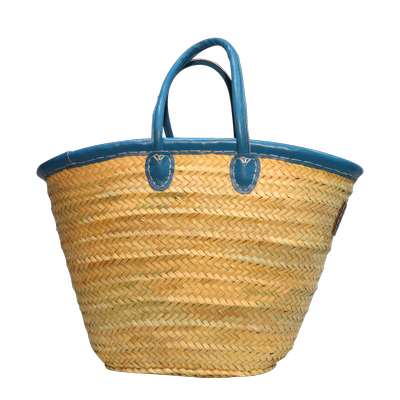 Perfect for home storage too. 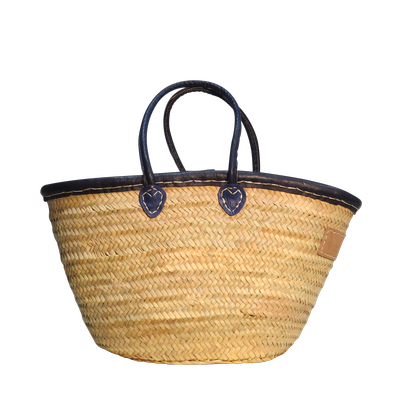 As they are individually handmade the sizes always do vary slighty. 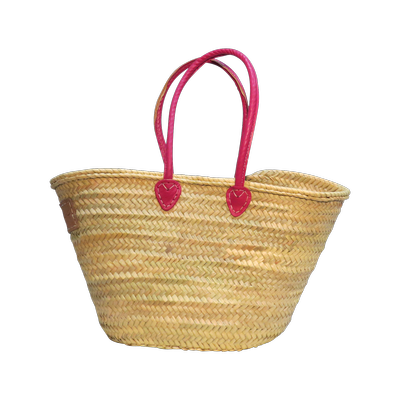 All baskets are available at wholesale prices too. 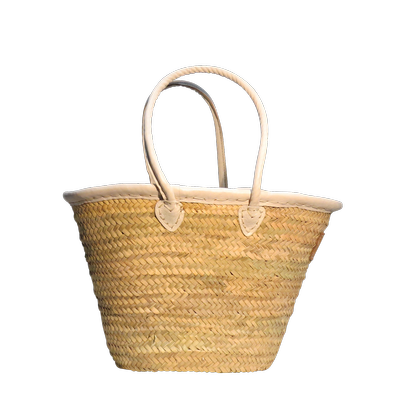 So enjoy using your handwoven and sustainable everyday basket.